Bellwether International, Tanuku, Andhra Pradesh & Jeedimetla, Hyderabad is now open for academic year 18-19! 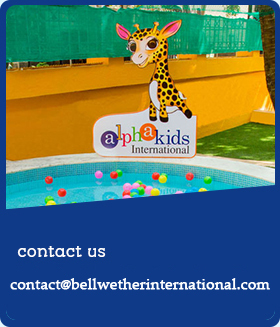 Bellwether International School- promoted by one of the founding families of an education stationery brand with 80+ years of legacy, and the Goenka group who are the co-founders of a top ranking International school in Mumbai. Unique patented pedagogy “Asteria” that nurtures the Intellectual quotient (IQ), Emotional Quotient (EQ) and Spiritual Quotient (SQ). Flexibility of curriculum board depending on location (CBSE, IGCSE, or ICSE). Bellwether Bridge programs provided to help children from diverse backgrounds achieve a smooth transition. Reinforcement sessions to help children cope up with competitive exams. Emphasis on sports and performing arts alongside studies to help achieve all-round development. Unique Bellwether literacy program which focuses on the development of life-skills right from the early ages! State of the art infrastructure with high standard indoor and outdoor facilities. Audits to ensure quality in governance,administration and academics. Bellwether International is Inviting Franchisees!